Spread the intrinsic values of Christmas and the European Union, such as coexistence and peace, serving as runway to the participation of any city that wants to promote its image, in accordance with these rules (hereinafter, the Call). — Create spaces around the idea of Christmas, share traditions, similarities and differences in the celebration of these holidays in the different cities, regions and countries, thus delving into diversity and commonalities among European citizens and their customs. 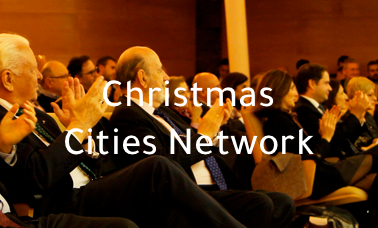 — Give the opportunity to the European cities promote their image and idiosyncrasy, publicizing their characteristic identity in connection with the celebration of Christmas, as well as the promotion and preservation of their tangible and intangible heritage. — Promote the development of projects that enable economic, social, cultural and economic sectors, affecting cities and the lives of their communities and inhabitants.